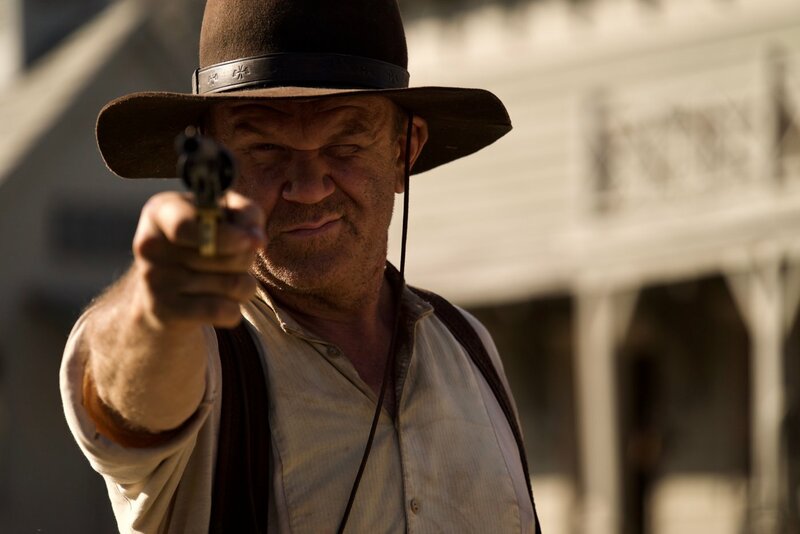 John C. Reilly (KONG: SKULL ISLAND; THE LOBSTER) has had a good year. The versatile actor, comedian and singer is starring in STAN & OLLIE and HOLMES & WATSON (neither of which has come to Hong Kong yet, in case you thought you missed them), and is the voice of Ralph in RALPH BREAKS THE INTERNET. He’s also starring in the revisionist Western tale, THE SISTERS BROTHERS, by much-celebrated French director Jacques Audiard (DHEEPAN; RUST AND BONE; A PROPHET; THE BEAT THAT MY HEART SKIPPED) in his English language directorial debut. It’s 1851, the time of the California Gold Rush, and hot-headed Charlie Sisters (Joaquin Phoenix, YOU WERE NEVER REALLY HERE; MARY MAGDALENE; IRRATIONAL MAN; HER) and his introspective brother, Eli (Reilly), are a pair of hitmen for a powerful Oregon City mobster named The Commodore (Rutger Hauer, BLADE RUNNER). Their latest job is to track down Hermann Kermit Warm (Riz Ahmed, VENOM), a soft-spoken man who has invented a chemical formula that can light up any gold that is hiding in the riverbeds. The Commodore wants the brothers to kill Warm but not before torturing him to reveal his formula. Meanwhile, the Commodore has also hired the erudite John Morris (Jake Gyllenhaal, LIFE; DEMOLITION), a bounty hunter of sorts, to track Warm down and deliver him to the brothers. Events, though, don’t go as planned when Morris decides to team up with Warm and Eli starts giving more thought to hanging up his six-shooter and living a quiet life. THE SISTERS BROTHERS is based on the 2011 novel of the same name by Canadian expatriate Patrick deWitt. The film rights were bought by Reilly who then asked for Audiard to adapt the screenplay and direct the film. For the most part, it’s a fairly enjoyable romp with good performances all around and especially from Reilly. Gyllenhaal decided to put on what might be considered a quasi-New England pilgrim accent for his role. I’m not sure it was a wise choice for accents but it was bold. The story, however, it’s not nearly as witty as it needs to be nor is it as absurdly funny as the trailer would have you believe. The biggest problems, though, are its pacing and tonal shifts. With a running time of just over two hours, it’s about 20 minutes too long. And just when the film settles into a light groove, it gets very dark very fast only to claw its way back into humorous territory for its final ten minutes. At a Q&A with the director following our screening, Audiard said the film was an exploration of what it means to be a man. He added that Charlie and Eli, who were still adolescents at heart, were finally growing up. That theme may have been clear in the book but a fair chunk of it got lost in translation when it made it to the screen. I’m not sure that the events in the film’s epilogue qualify as “growing up”. THE SISTERS BROTHERS is a take-it-or-leave-it proposition. It might just be the best thing opening this week in Hong Kong but that’s a low bar for your horse to leap over. If you do see it, keep your eyes out for Carol Kane (TV’s TAXI) who has a cameo at the end of the film. Great to see her on the screen again! Watch the review recorded on Facebook Live on Friday, March 29th at 8:30 am HK time!